Rome is a chest full of history, charm and beauty, a city with a thousand faces. 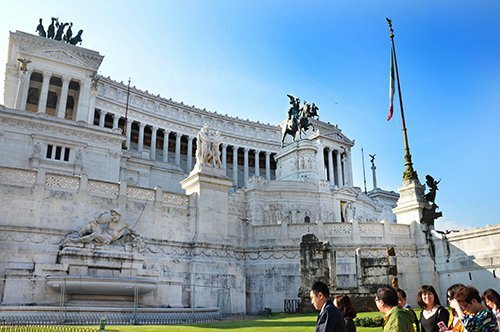 Rome is the political capital of Italy and also the center of Christianity. 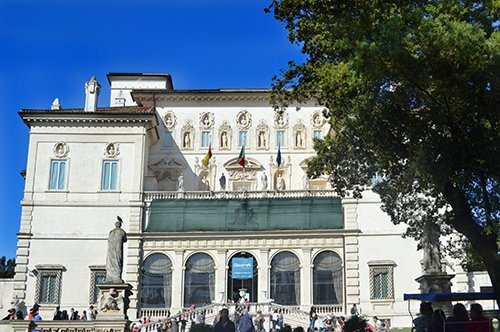 It is an open-air museum that houses the city-state of the Vatican, the seat of the papacy. The Eternal City is a real treasure with works of inestimable value. 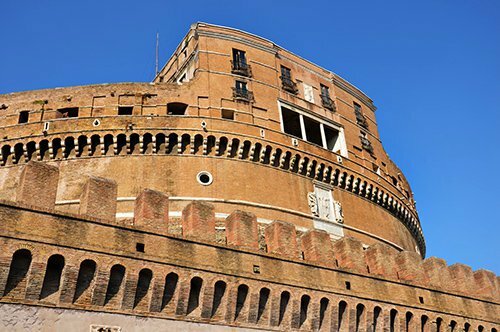 The Imperial Rome is the best known with the Colosseum, the Imperial Forums, the Domus Aurea, the Pantheon, and the Circus Maximus. 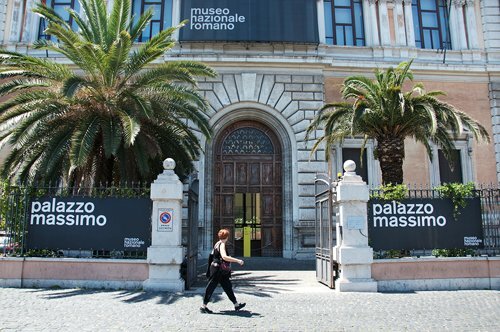 At the end of the 15th century, the Florentine Renaissance arrived in Rome, in the period when the Popes became important patrons, bringing together great artists of the time in the capital, like Bramante, Raphael, Pinturicchio, Donatello and Michelangelo. The charming city of Tivoli is about 25 km from Rome. Tivoli, which Virgil mentions in the Aeneid, has a millenary history, much more archaic than that of Rome a splendid city founded around 1215 BC. Considered a point of convergence between different towns. 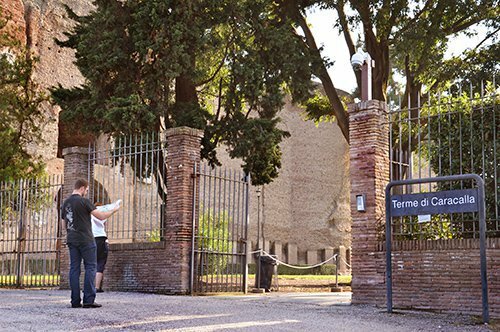 On the street that leads from Rome to Tivoli, is the largest village that belonged to a Roman emperor Villa Adriana, a town that demonstrates the extraordinary level achieved by Roman architecture. 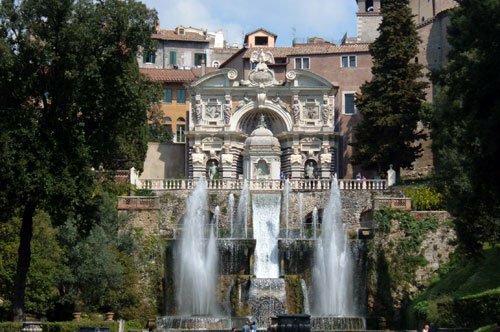 In the center of the city of Tivoli is Villa d'Este, a town that you will love with its artistic wonders and, in particular, its fountains and water games, which will transport you to a palace of past times. These two fantastic villas have been declared a World Heritage Site by UNESCO. VILLA ADRIANA (Hadrian’s Villa). Built by the emperor Hadrian as an imperial residence. Here, the emperor wanted to reproduce the monuments that, during his frequent trips to Greece, had fascinated him like Pecile, Canopo, Accademia, Liceo. VILLA D'ESTE. Its construction was carried out at the request of Cardinal Ippolito II d'Este during the Renaissance. The impressive concentration of fountains, caves and aquatic elements represented a model imitated in European gardens during the Mannerism and the Baroque. The area of the Roman Castles is located very close to Rome and is composed of a group of villages, with ancient origins, perched on the Alban Hills. For its ancient villages, noble villas, medieval castles, and archaeological remains, this area has been a favorite vacation spot since the times of the Empire and today remains one of the favorite destinations of the Romans. The area of the Roman Castles is known for its small villages that are born on volcanic lakes, including Castel Gandolfo which is the summer residence of the Pope overlooking Lake Albano. Lanuvio, with a historical center surrounded by a wall in peperino, and with its houses, palaces, and churches that are in a perfect state of conservation. Genzano, a picturesque city with a historical center full of artistic testimonies, located along the Via Appia that extends on an outer slope of the crater of Lake Nemi. 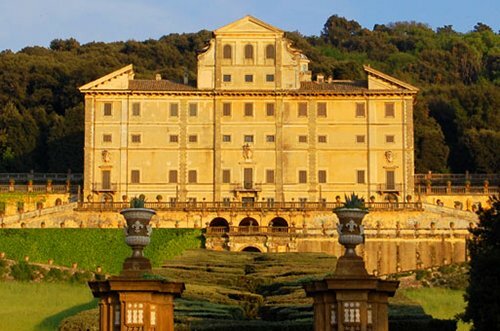 Ariccia, an artistic treasure, and one of the most valuable architectural examples of the European Baroque. Albano Laziale, a particular town that rises in the volcanic hills of Albano and opens onto Lake Albano. The Roman Castles are much more than dream villas, ancient ruins and breathtaking views, the Roman Castles are also known for their cuisine and the white wine produced in this area. During your visit, you should make a stop at a "fraschetta" a picturesque place located in old cellars where you can enjoy wine, olives, cheeses, piglets and typical Roman dishes. 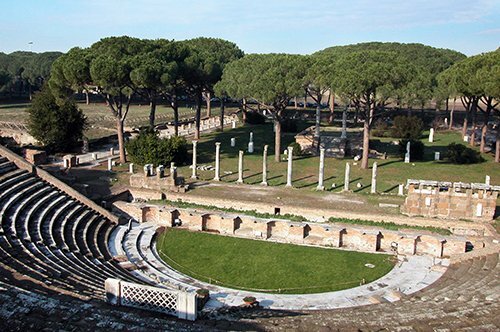 Discover the legacy of the Roman world by visiting the archaeological site of Ostia Antica, a timeless, fascinating and mysterious place, an ancient port city, buried for more than ten centuries, located 30 kilometers from Rome. Ostia Antica was one of the most prolific Roman colonies for its role as a port trade center, which is worth visiting. 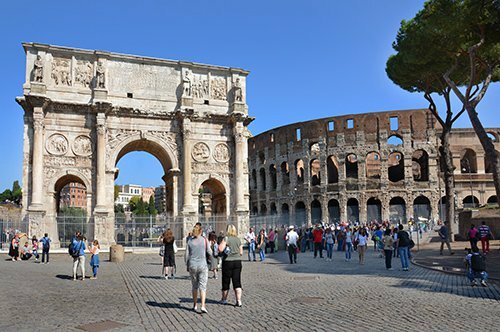 Admire an ancient Roman city with impressive ruins that have witnessed the daily life of the past. It is essential to visit Ostia to understand the greatness of Rome. 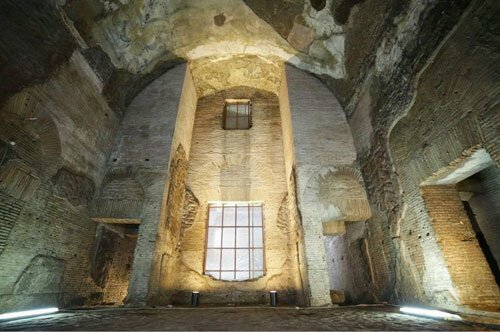 Here, you will find the remains of what was, in the imperial era, an important commercial and port center; where there was an incessant fluvial exchange with Rome. Discover the typical houses of the time, the religious buildings, the shops, the theatre, the public buildings which will take you through history in an unforgettable environment that will allow you to relive the glorious past of this extraordinary city. Umbria offers, to those who visit it, a range of unique experiences, you can choose between nature and sport or immerse yourself in art and spirituality. Surely you will have an unforgettable experience. Umbria is an enchanted region where immersed in the green of the winding valleys; there are ancient towns such as Assisi and Orvieto. ASSISI. Known as the city where St. Francis, patron saint of Italy and St. Clara were born, lived and died. Assisi is a city of Roman origin and one of the most famous towns in Italy, a UNESCO World Heritage Site. 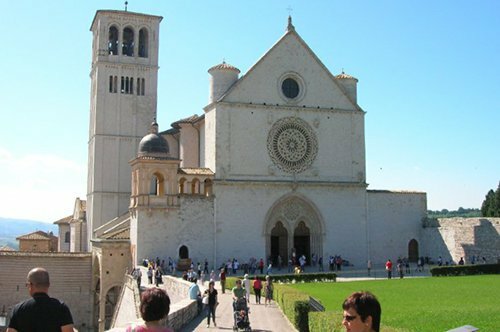 Its splendid Basilica, dedicated to St. Francis, is one of the emblems of Christianity, a strong attraction for millions of faithful and tourists, thanks to its rich artistic heritage. ORVIETO. One of the oldest cities in Italy, of Etruscan origin, built on top of a tuff cliff, south of the Paglia River (a tributary of the Tiber). It contains a rich artistic and archaeological heritage as well as beautiful natural attractions. Absolutely do not miss the majestic Duomo and the mysterious Pozzo di San Patrizio (St. Patric's well). We suggest you, dedicate a little time to discover its culinary tradition and craft production (especially the processing of ceramics).